Once you have installed WordPress you will need to check and make some changes to the settings. 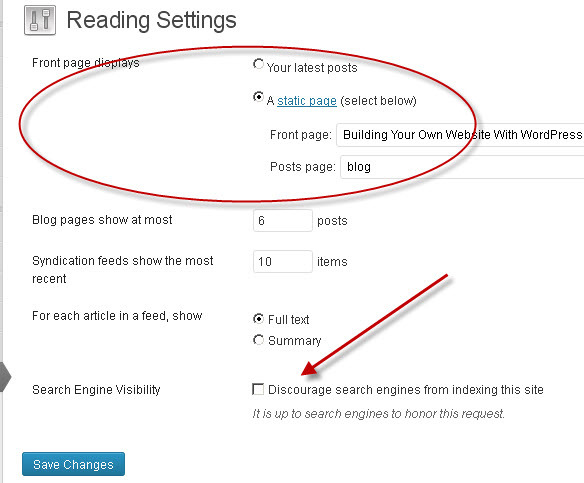 Settings are changed through the WordPress control panel which you access via the WordPress Admin Page. This Video Introduces the WordPress Control Panel and should help get you started. To login to WordPress you will need to know the user name and password that you created as part of the install. From the Home Page- Most templates include a login link on the pages/posts so if you go to any page of the Site you can use the link to access the login url. Go direct to the admin Page- This is located normally at: domainname/wp-admin, or www.domainname/wp-admin or domainname/wordpress/wp-admin. It all depends on how you installed WordPress. Hiding The site title and tagline. This is the address of your website, and depending on your install may need changing. To change go to the Settings>General section. Note: The site url and WordPress Address url should usually be the same. 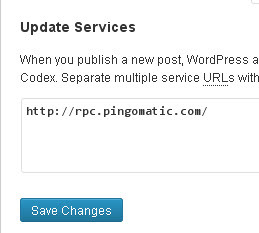 If you change it you will need to log back in to WordPress using the new URL. This will normally be visible on all of the pages of your site in the top heading section. However most sites choose not to display it, as is not very SEO (search Engine) friendly. The twenty twelve theme and most premium themes allow you to disable it, and I recommend you do so. (image below). To change/view go to the Settings>General section. This is the admin email address, and notifications will be sent to this address so It is very important that this address is valid. To make the site more search engine friendly you need to configure what is known as pretty permalinks otherwise WordPress uses page numbers as pages names. To change it go to settings>permalinks. You may not need to do this as many install scripts now prompt you to create a new admin user when you do the install. Older install scripts create an admin account called admin. You will need to create a new user and assign admin permissions before you can delete the original admin account. Because of comment spam many WordPress websites now choose not to allow comments. Close comments after a set time. When you add a new post WordPress can automatically notify popular blog catalogues which will help increase the visibility of your site. By default WordPress installs as a blog, and if you want to use WordPress simply as a blog then you don’t need to change the settings. However if you want to use WordPress as a standard website or standard website +blog then you need to. Create two pages one called home and the other called blog. Set in the Settings>Reading section this enables you to hide your site from search engines while under development, and you should check this to ensure that it isn’t enabled on a production site. Your theme will usually have a default header image. You can change this image to one of your choice or you can,in most cases, use the theme without an header/logo image. The screen shot below show the settings fro the 2013 theme. 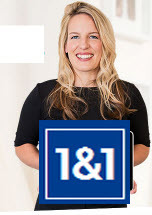 Notice the size of the required image. 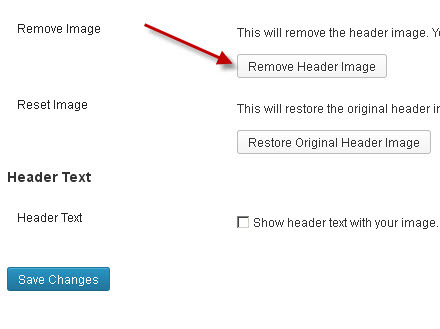 To remove it click the remove header image button. WordPress comes with several default themes depending on the version. If you are new to WordPress then it is a good idea to stay with one of the default themes while you find you way around, and unless you have very specific needs then you should stay with it. Note: I use the 2012 theme on most of my sites- including this one. The theme you use will have its own layout and some themes allow you to change the layout. If you change themes then you will change the layout and the style. Sometimes this change can be drastic and other times not. It is for this reason that you should be careful when changing themes. Plugins let you expand on the core functionality of WordPress, and some plugins are almost essential. For example, one of the most common pages on any website is the contact us page. However WordPress doesn’t have a contact form built in, and so to add this functionality you will need to install a contact plugin. However only install plugins you actually really need and uninstall ones that you aren’t using. WordPress Widgets add content and features to your website. 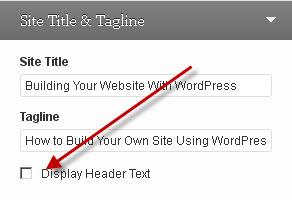 Wordpress Themes have dedicated widget areas assigned. The main widget area tends to be the right sidebar, but widgets areas in the header and footer are also available in some themes. They can be added, removed, and rearranged on the WordPress Administration Appearance > Widgets panel. WordPress comes with default widgets e.g. for post categories, tag clouds, navigation, search, etc. which can be added to the widget areas, and many plugins will often add their own widgets e.g. the WP-Polls plugin. The order and placement can be changed by dragging and dropping the widgets. A fresh WordPress Install will use a default menu which usually includes all pages in the the site. You can create you own customised menus and add them to your site, but the location of the menus is determined by the theme you are using. 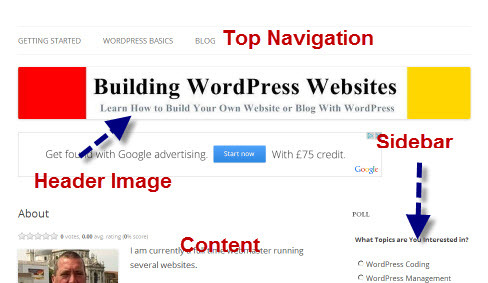 Most themes have a top navigational menu which appears either above or below the site header image. In the Video Below I will take you through the process of creating custom menus and adding them to your WordPress website. Please use the comments box for questions and comments.